Here we are going to give you the meaning of the mirror hour 03:03 and its relation to the guardian angels, numerology, and the tarot of Marseilles. You will therefore gain an understanding of the message that your subconscious is wishing to send to you. Indeed, it is thanks to your subconscious that you decided to look at the time and happened to come across a mirror hour. This is called synchronicity: the observation of an event which occurs at the same time as another and which has a specific meaning for the person observing it. If you have seen the hour 03:03 you have probably asked yourself what the sign could mean. This is completely normal considering the power of the number 3. This hour is closely related to religion and spirituality. The number 3 is also found in Christianity and signifies the Holy Trinity, comprised of the Father, the Son, and the Holy Spirit. The double hour 03:03 is therefore sending you an important message which we are going to decrypt together. 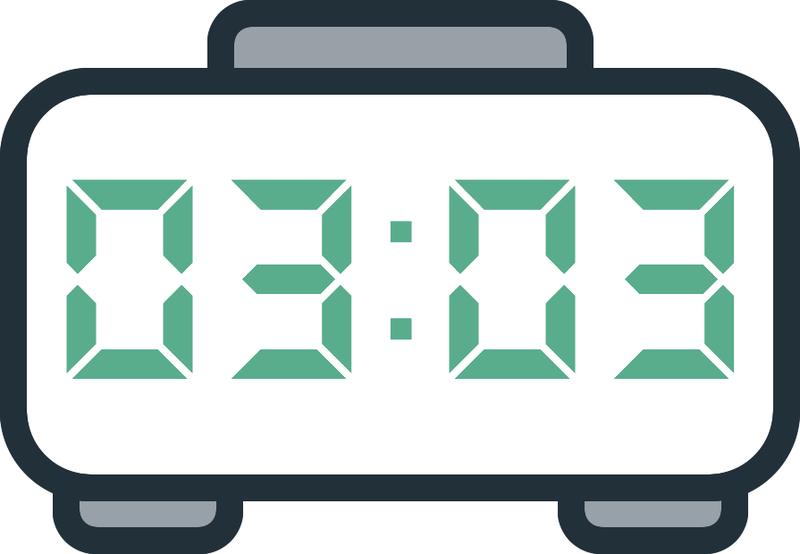 Please send us any comments you have with your own observations regarding 03:03. This double hour is sending you a relatively positive message on behalf of the guardian angels. Indeed, it signifies that you are currently in a situation within which anything is possible. 33 is a master number, it shows that your will is indomitable and that this will be the force of great changes in your life. You are a person with access to a great imagination and the whole angelic world is open to you, giving you ideas and positive thoughts which will help further your pursuits. Your connection with the spiritual world has existed since your birth. If you have the feeling that you are being guided then that is completely natural. Your spiritual guide is beside you. You are very skilled at communicating and your creativity makes you a person who can develop in the realm of the theater and the cinema, but also in the fields of marketing and advertising. You are not scared to put yourself forward, but be careful not to try to have all eyes on you. Leave some room for other people as well! The angels also warn that if you misuse your talents for communication you risk losing yourself in a social life made up of false appearances and lies. You should therefore concentrate on your goals and above all do not allow yourself to become intoxicated by success when it presents itself to you. The guardian angel corresponding with 03:03 is Aladiah whose influence extends from 03:00 to 03:20. He is the symbol of indulgence as well as of spiritual enlightenment. He feeds your imagination to allow you to find answers when you encounter difficulties in your life. He is able to cure the pains of the soul. He supports you if you are feeling down. He helps you to find the power and energy within yourself to start over. He shares divine grace with you and helps you to align your different karmas. He comes to the aid of disadvantaged people to lead them back towards stability in the spiritual and material worlds. What does 03:03 mean in Numerology? 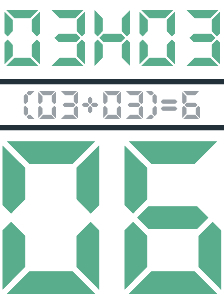 The total value of the mirror hour 03:03 is 6. This number shows that family is extremely important to you. You work tirelessly so that harmony reigns in your home, but within the other members of your family as well. You are highly respected for your sense of sacrifice, but you must think of yourself at the same time! If not, you risk wearing yourself out. You are a creative person and you often live with your head in the clouds. You have many ideas which guide you throughout your life. Even though they might seem immature to some people, you hold on to them, and you should! Just make sure to have your feet on the ground at the same time, otherwise you risk missing out on many romantic and professional opportunities. You have an ability to heal others. This can involve helping them psychologically or spiritually. You are the one that people turn to without hesitation when they are facing a challenge. By listening and giving advice you provide relief, sometimes without meaning to. 03:03 encourages you to explore areas such as mesmerism, hypnosis, and reflexology. However your strong sense of empathy should not cause you to take on all the misery of the world, especially in your romantic life. Take care not to fall for the charms of someone who is using you just to save themselves, and who risks leaving you for someone else once they get their feet back on the ground. The Tarot card corresponding to 03:03 is the Empress! 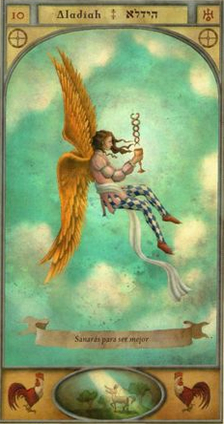 This tarot card represents a high spiritual level and a strong sense of intuition. She symbolizes agreement and compromise. With her, speech is open and plentiful. What’s more, she forgives the mistakes of the past. 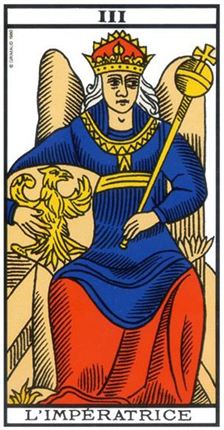 The Empress represents harmony and intelligence. You should once again find that you have a strong bond with the person who shares your life. Communication will be made easier in every aspect of your existence. She also shows that you are going to demonstrate a sharp mind in order to achieve your goals. However, she can also be a sign of behaving too immaturely. She therefore represents a life geared towards futility and materialism, a form of inconsistency in your choices which can bring you prejudice. In love, the Empress arcanum shows that you will find happiness. This means success in relationships, as well as the fulfillment of your partners. People will be jealous of you! At work you show intelligence, you are creative, and you communicate very easily with all of your coworkers. This will open many doors for you. Be careful how you manage your money. Too often you allow yourself to be led by your desires, but is this always the most sensible choice? Any comment on the 03:03 mirror hour? Thank you so much Mirrorhour.com I am happy and contented reading my mirror hour..it’s all true in my LIFE where I have now..again thank you so much for the guides where I am going to follow. More power and GOD bless you! I am amazed how can it be possible that this mirror hours appears in my phone every single day?? Isnt this magical and beautiful?! I kept seing butterflies everyday also! Names and i really like to understand it all sometimes i dont get the message clearly, but above all i feel protected, guided somehow and happy.